There is no doubt that a pet can be one’s best friend, and no one like to lose a loved one. Therefore, most people try their best to keep their pets healthy so they can stay alive and be with their owners for as long as possible. Regardless of whether you have a dog, a parrot, or a cat, you certainly have to take care of your pet and keep it healthy; to this end, there are a number of things you can do to keep that little buddy of yours living a lot longer. Keep your animals safe; either indoors, on a leash, or in a fenced area. This will keep them from being exposed to many dangers, such as being hit by a car, poisoned by a chemical (lawn chemicals, rat posing, and antifreeze) and even from humans who may find your pets and abuse them. Humans have even been known to steal pets and sell them to experimentation labs. Make sure your pet has all their annual vet visits. Vets can identify illnesses we have no clue about. So, you can make a routine of getting your pet checked - both on a regular basis, and also when it gets sick. Consider taking your pet for regular walks, or playing catch on a regular basis, as this will keep them healthy, strong, and prevent obesity. 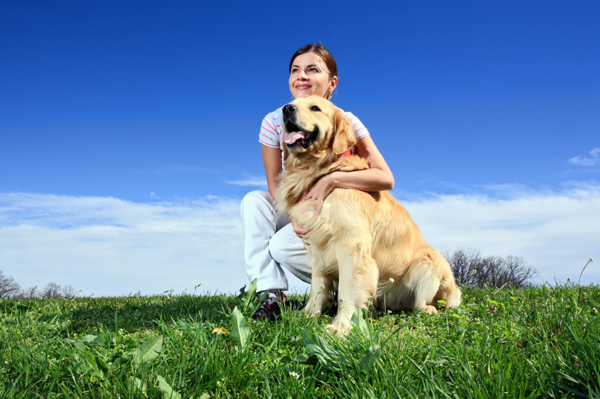 This will not only help your pet remain healthy, but you will also get some fresh air and exercise too. You should always try to protect your animals from common household products. Some harmful products include antifreeze, flea and tick products, and certain food items. Antifreeze contains Ethylene Glycol, which provides a sweet taste that animals seem very attracted too. However, when they come into contact with this product, pets can face severe consequences. Flea and tick products bought over the counter can be toxic to animals. Never use a product until you get the “OK” from your vet. When it comes to food items, chicken bones should never be given to animals. The slivers from the bones can get caught in your pet’s throat and cause it to choke to death.